Marlo Pascual fashions a set for found vintage photographs. 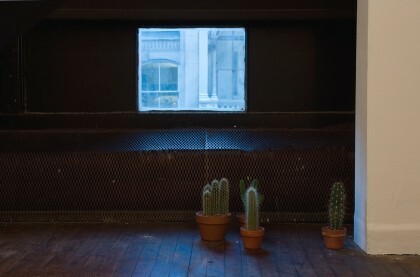 Deconstructed beams, cacti plants, and a lamp realize photographic still lifes; a mental double-take ensues. 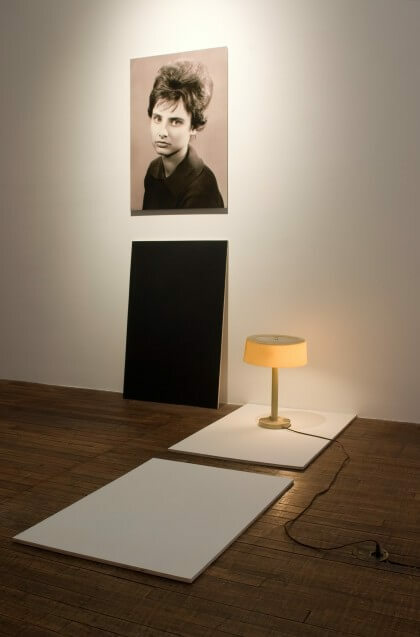 The discreet encounters between fragmentary images and unassuming props play out, rendering the effects of desire palpable. Marlo Pascual lives and works in New York. 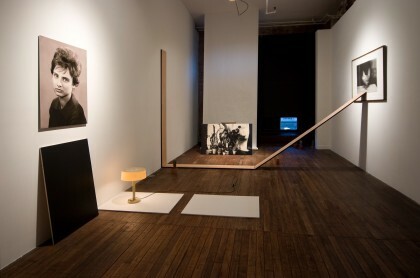 She completed her MFA at Tyler School of Art in Philadelphia (2007). Her most recent projects include a solo show at White Columns (2008) and the group exhibition Crop Rotation at Marianne Boesky (2008).